It's a great time to be a waterfowl hunter. Duck numbers are up, seasons are long and bag limits are high. Judging from the 2014 SHOT Show in Las Vegas, the line-up of shotguns available for duck and goose hunters is equally pleasing. It's obvious: waterfowl hunters have spoken, and the gun makers have listened. There were more waterfowl shotgun choices than ever this year. Pumps, auto-loaders and even over-and-unders built just for duck and goose hunters were generously scattered throughout the show floor. Some of the guns on display were new, a few have were redesigned classics and others are simply the same trusted shotguns with a sleek new camo pattern or an added feature. 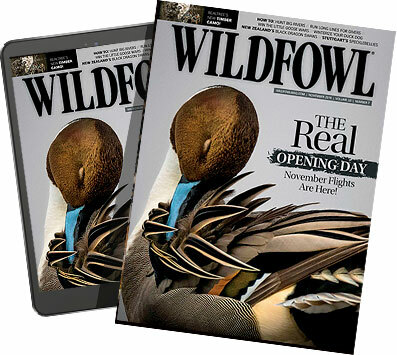 With so many choices, simply settling on a new gun may be more difficult than fooling a flock of late-season mallards. Check out our list of the best new waterfowl shotguns for 2014.